States get social at the top: U.S. state governors are using social media, specifically Facebook, Twitter, Flickr and YouTube, and not in small numbers: "Some 47 of the 50 governors are using Facebook and Twitter, according to a recent Stateline examination of these services; 27 are using the photo-sharing service Flickr and 37 use YouTube," reports Stateline blog. Veterans of social media get a policy: The Veterans Administration's social media policy follows the establishment of "over 100 Facebook pages, more than 50 Twitter feeds, two blogs, a YouTube channel, and a Flickr page," and covers social collaboration sites as well as networks. Looking for government agencies on Tumblr? Jed Sundwall's keeping track of government agencies on Tumblr here, and welcomes hearing from you about others not yet on the list. Get ambitious, governments: Iceland crowdsourced a constitution, using Facebook to elicit public comment on the draft. And its officials use Twitter, YouTube and more to connect with citizens. 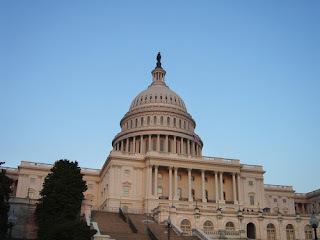 Congress hearts Facebook: The Congressional Management Foundation reports that Congressional offices prefer Facebook for engaging citizens -- it's one of only a few third-party sites approved for use on the Hill. But it's still a mixed bag: How governments are using social media for better or worse looks at examples from the U.S., Russia and Canada, plus issues of censorship and control. In addition to the great resources you've identified, I find that I use the GovTwit.com service very frequently to find government-affiliated Twitter accounts.